Minimalism and motherhood – can they coexist? Is it possible to really make the two work together? Absolutely! But there are a few categories of items in your home you’ll need to get serious about to make these two unsuspecting partners marry one another. Minimalism is the idea of simplifying your life by reducing the material objects in your life to be nothing more than the bare essentials and things that only bring value to your life. Motherhood is the taming of the untameable; the unconditional loving of tiny humans who can wreck your home in all of 3 seconds. It’s giving away your heart and losing your mind all at once ;). So, what do you get when you blend these two together? Minimalist Parenting. Luckily, if the meaning of minimalism is still lost on you, there are several documentaries on Netflix (there’s even a show with Marie Kondo) you can catch up on that detail what this lifestyle choice means, and how you can adopt it into your life. I have to say, introducing the idea of minimalism wasn’t greeted with open arms and warm fuzzies by my family – it meant giving up and donating a lot of our possessions, from clothing to toys and electronics. My husband has yet to go through his closet of 500 T-shirts, and my kids don’t always agree with me wanting to toss older toys that never see the light of day, but it’s growing on them I can tell. So many of these material things we were holding onto held no value to us and simply took up space. These were things we bought on impulse or the notion that we would use them one day, but never did (or only used them once). They served no real purpose other than to take up space. As an example, looking into my own closet, I owned about 25+ sweaters, which was really nice because I felt like I had plenty to choose from – but truth be told, I only wore about 5 or 6 of my 25 sweaters on a regular basis. That’s a lot of hangers being taken up by things never to be worn, and a lot of closet space getting eaten up. So, I donated them. I put them into a donation bag and drove them down to Goodwill. I kept the 5 sweaters I did wear and was able to hang up more clothing that I actually wear. 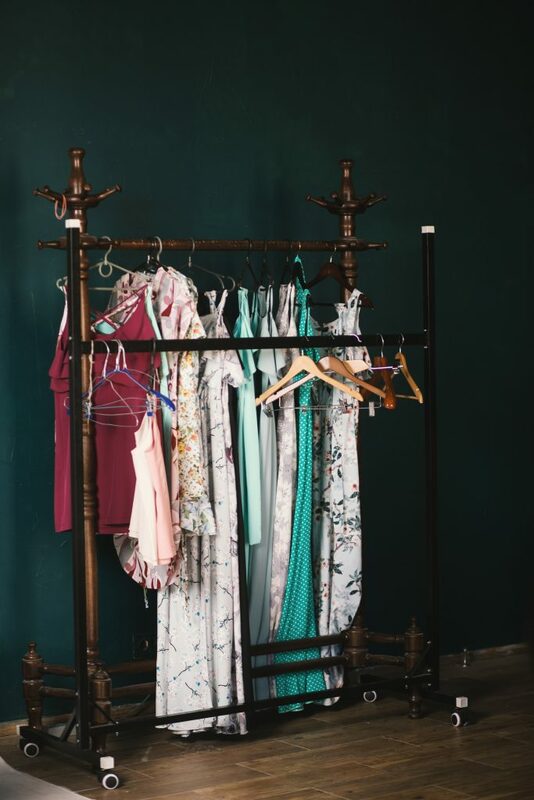 My closet is cleaner and less of a giant mess – and I feel that as little of change that was for me to make in my closet, it was a huge change for my life. I started looking at things completely different. I felt excited to purge more items, create more space, and live more freely without the invisible weight of my material possessions. In this post, you’ll see that minimalism can actually help with the craziness, the clutter, the cleanup, and even encourage healthy daily habits. And it’s totally possible when you have little ones running around. *Note: There is more to minimalism than just what I have listed and recommended here in this article. 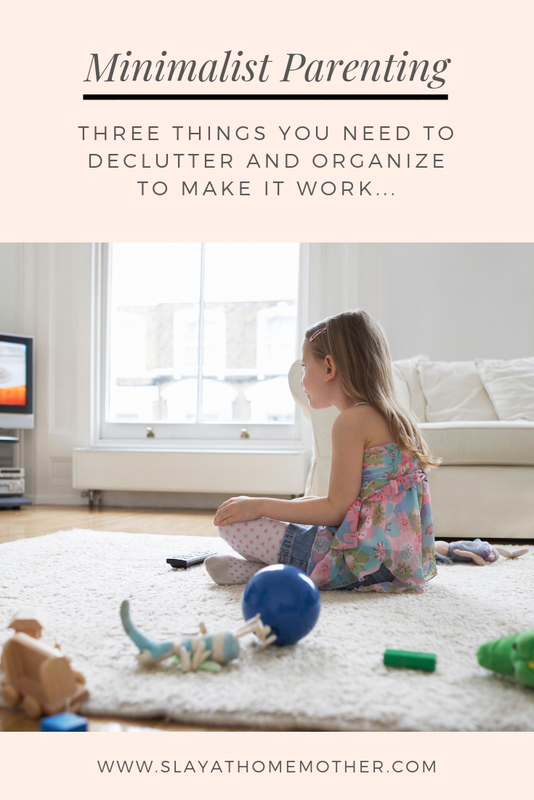 These are just, in my opinion, the three basic categories in your home that need to be decluttered and organized in order to make the concept of minimalism work together with actively raising children. It’s a process and can take a long time for people to adapt to or embrace. Personally, I started with the category of items that plagues me every day – and I’m talking about laundry of course. There’s this neverending supply of it, no matter how many loads I fold or times I restart the washing machine. It’s always there, lingering on the bathroom floor or under the kids’ bunk beds. There are times I could swear Max must have adopted two of his friends and stashed them in his closet with how many clothes there seem to be – it doesn’t add up sometimes. A family of four shouldn’t be able to generate this much laundry! I’ve found that when it comes to adopting minimalism and dealing with clothing, less is more – less clothing amounts to more frequent loads of laundry. At the same time, less clothing amounts to a much smaller mountain of laundry, which I am all about! I recently adopted the KonMari method of decluttering and folding with my master closet and boys’ drawers – and that system works really well for me! I ended up getting rid of 3/4 of the clothing I owned (most of which either didn’t fit or spark joy when I wore it), and now I can easily find everything in our drawers with just a glance! Start with your closets and drawers – keep only the clothing items that serve a purpose or bring you joy. Also, consider the amount of each category of clothing you own. Do you really need to hang on to 17 pairs of leggings, or 33 pairs of socks? When going through your children’s clothing, do the same, but keep note of any items you want to save as hand-me-downs. Place those items in a labeled bin in a place of your choosing. Once you have sorted through your clothing, try to fold using the KonMari method (also known as the vertical folding method). I can honestly say this way of folding has changed my mornings, evenings, and laundry routine completely! It doesn’t take any extra time away from my family, require any special skills, or a degree in organizing to complete, and you can easily find everything in your drawers with just a glance into an open drawer! I’ve started folding our underwear, socks, pants, and pajamas with this method. I would fold the shirts as well, but we hang our shirts, so no need to! It’s my opinion that decluttering toys can not only save your sanity but also help teach your kids healthy daily habits (like cleaning up after themselves). By reducing the number of toys you have to strictly what your kids play with, your life will get so much easier! With our kids’ toys, we kept some very loved toys for both boys and focused on what our kids actually played with vs. what was just taking up space. I’ll admit, at first the kids fought us on the idea – but after I explained to them that their toys would be going to another little boy or girl to play with, they seemed much more into the idea. Because our kids share a bedroom, the concept of minimizing the number of toys was magnified, meaning we had even less space to consider keeping toys in, therefore minimizing the number of toys we had made sense. While, at first, it seemed like a very sad amount of toys lingering on the floor on our children’s bedroom at playtime, I noticed that the kids were actually playing with each one. It wasn’t a dump all the toys out marathon where the mess was the game. Organizing our pantry was something I never really thought about. As long as I could find the ingredients I needed for whatever dish I was making, I was satisfied. 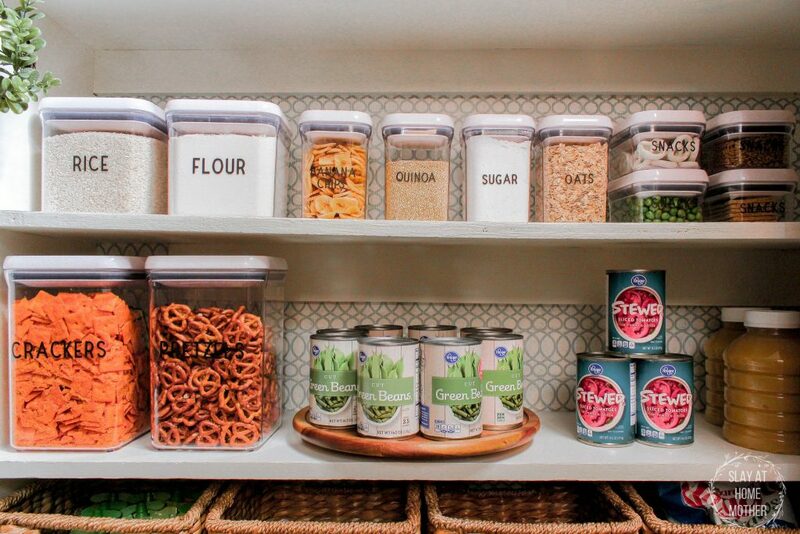 I never saw the need to organize, purge, or filter through the foods I had in my home. If I came across something that was expired, I would toss it as I found it. Needless to say, because I can feel you judging me already, my pantry was a mess. You can read about the before and after here, complete with pictures. It was quite the transformation. 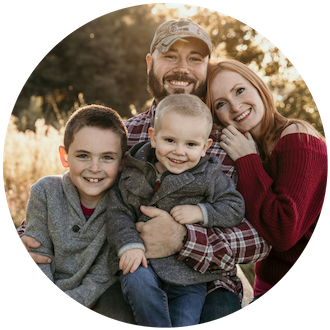 I started the transformation as a way to get rid of the eyesore quality it contained versus actually organizing and creating a system for my family – but that’s what happened! 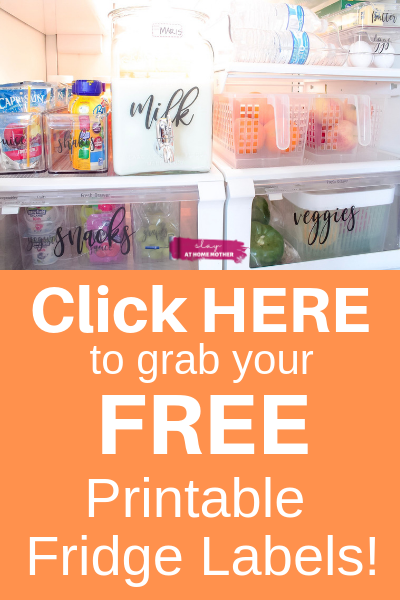 The organization made it easier to grocery shop, see and know what ingredients I had on hand vs. what I needed from the store on my next trip, and what snacks were available to my littles. With a household of four (two of those being busy, growing little men), I try to keep snacks available so they can grab-and-go as they need. 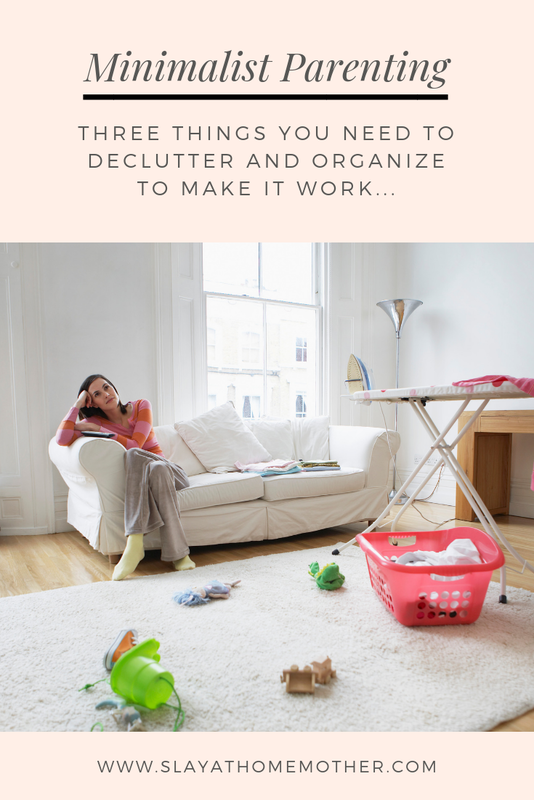 This is such a crucial part of introducing minimalism into your life as a mother, not only to stay organized but to help reduce the amount of overwhelming clutter in your home. Ditch the expired ingredients. Put current ingredients into containers, label things, categorize them if you’re up for it. I’m not saying you have to do a complete pantry reno like I did, but if that’s the motivation you need, have at it! 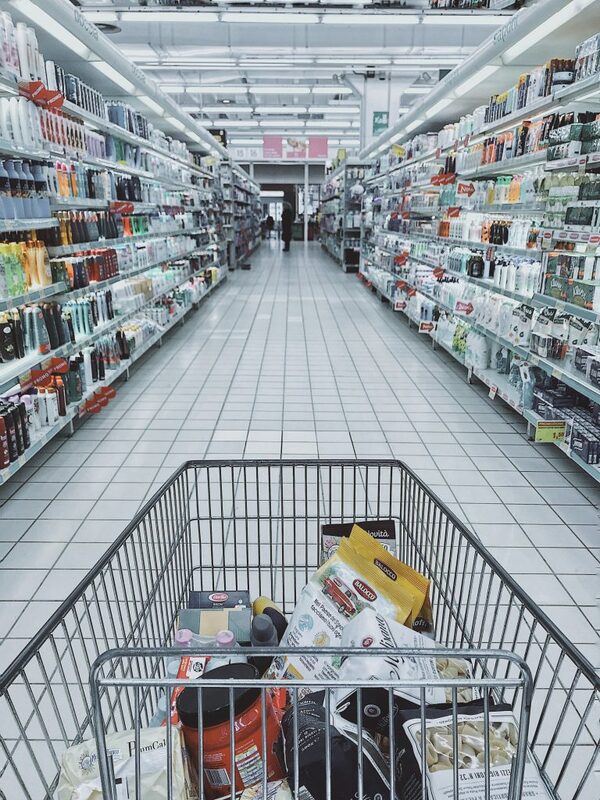 Now that you’ve decluttered, organized, and have focused on keeping only the truly valuable and useful material items you and your family own, you’ll need to question and rethink your future purchases. Will I use it every day, or at least very often? Will this item add value to my life? Will it take up too much space or be in my way? Do my children really need this item, or can it wait until a birthday or special event? Of course, when your child’s birthday comes around, feel free to decorate and purchase gifts for your child. 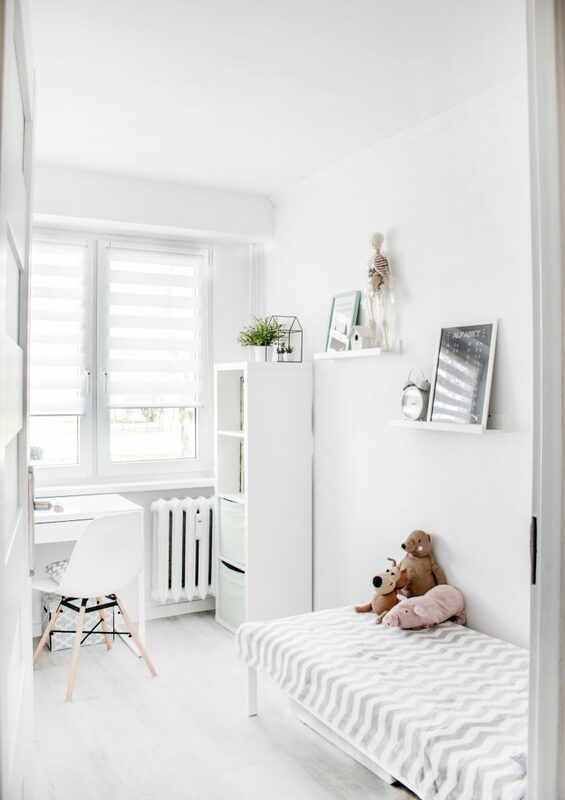 But to keep yourself straying away from the minimalist mentality and ‘re-cluttering’ your life/child’s room, limit the number of toys or games your purchase and try to have a plan for those items to replace your child’s current toys instead of adding them to their collection. When it comes to clothing, consider creating a wardrobe capsule of clothing that is comprised of basics you need for each season and some fun personal clothing items that bring you joy or make you feel good wearing them. Basics like leggings, jeans, tank tops, sweaters, t-shirts, and pajamas can keep your wardrobe valuable to your life without overcomplicating it. The concept of minimalism for parents I think is pretty daunting – you picture a family sitting on a couch with just a TV, a dining table, and maybe a small box of toys in the corner. No fluff, no frill, just the basics. In my mind, from what I can understand of minimalism, this lifestyle doesn’t give you much room for storing hand-me-downs or toys to pass on to the next baby in the family. But that simply isn’t true. If you plan on keeping hand-me-downs or toys/furniture to use for another baby in the future, it’s my opinion as I am sure it is yours that these items hold value in your life. 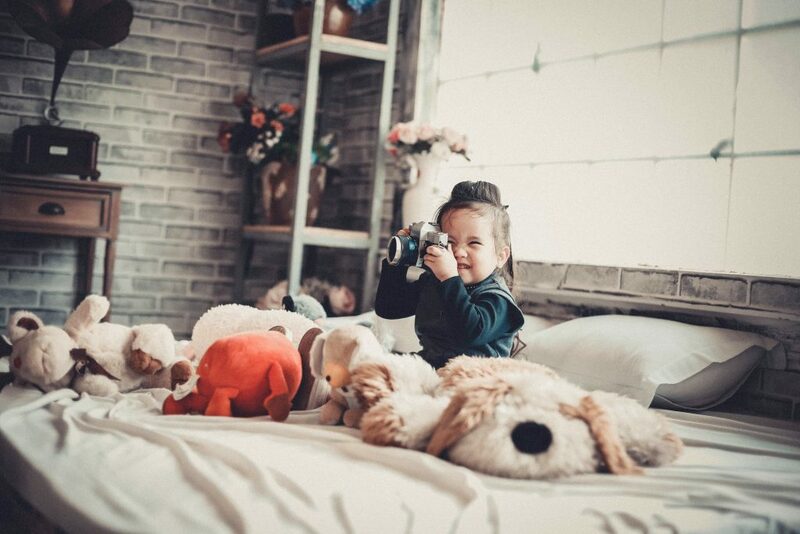 Storing these essential items in your garage, basement, or spare bedroom can save you hundreds of dollars in the near future, and provide essentials for your next little sweet pea. My advice? If you aren’t going to be using it within the next 2 years, donate it to a family in need! Baby products and gear change their safety standards, so the crib or car seat you might be holding onto for the next baby may be expired or unsafe for the next little one depending on the future safety guardrails that are in place when you bring your next baby home. Always remember that whether you choose to introduce minimalism into your life or not, be sure to do what works best for your family. Make adjustments where you need to, and do what makes sense for you. Minimalism is a great way to save space, money, and even help your children learn healthy habits themselves, but it isn’t meant for everyone. Do you practice minimalism as a mother? Comment below – I’d love to hear your thoughts! Just watched the Marie Kondo show and it has me all about decluttering! This year as an empty nester I have pared down a lot of things. I started with our closet and have moved on to my husband’s dresser drawers. I took 10 bags of unwanted clothes and other odds and ends to our local Salvation Army. It felt so good to be free from “stuff”. We are continuing by doing our pantry next! I’m glad I’m not the only one who thinks less is more! I love these. I struggle with the kids clothes and toys, especially. My kitchen is pretty minimalist, always has been, so that’s ok. My mum’s trying the KonMari method, too, and I think I’ll give it a try. Thanks! I am trying so hard to declutter my closet. I hang on to stuff for way too long (but clothes bring me joy hahaha).